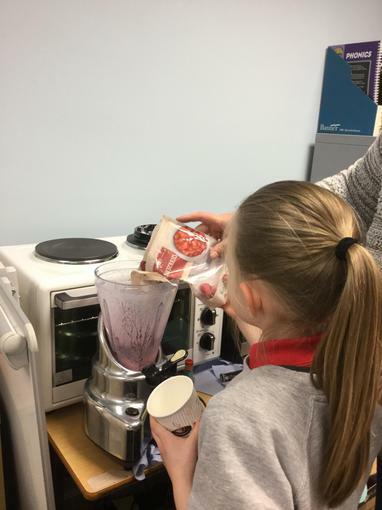 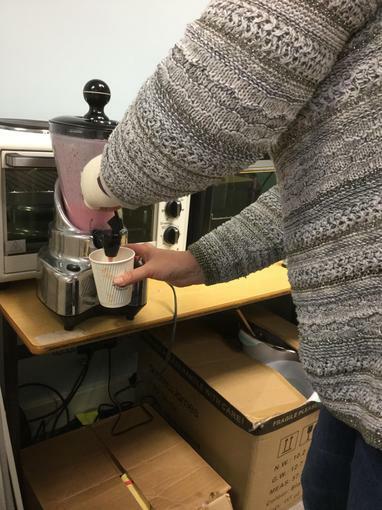 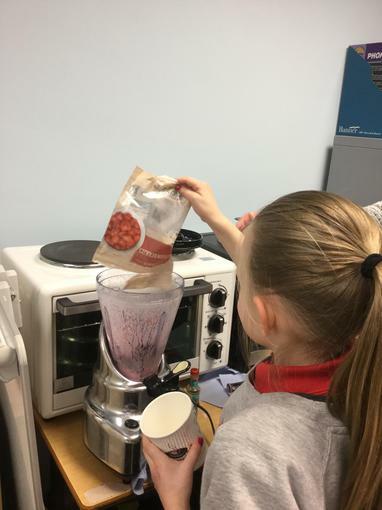 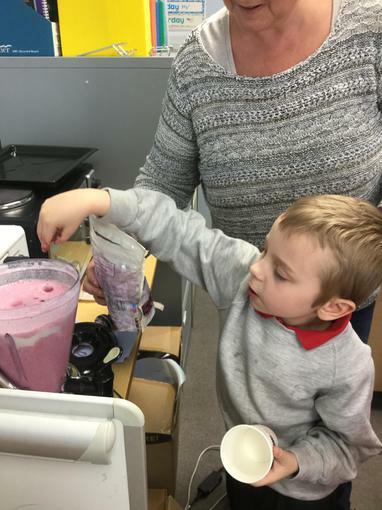 Another healthy week - this time we made smoothies. 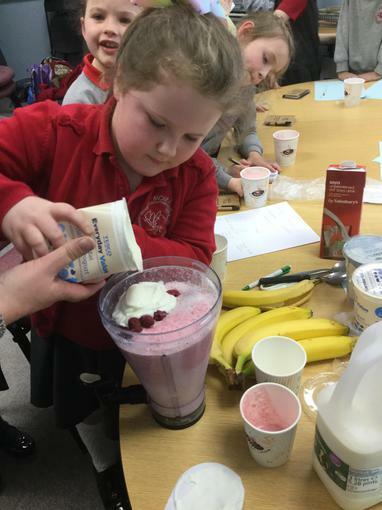 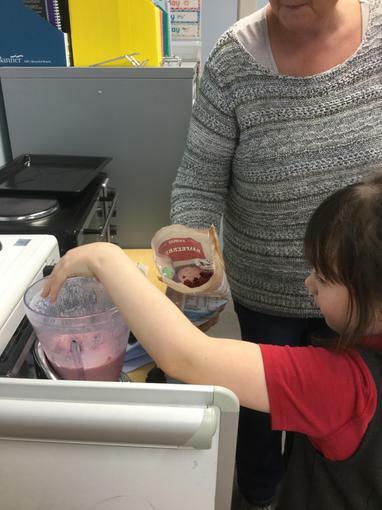 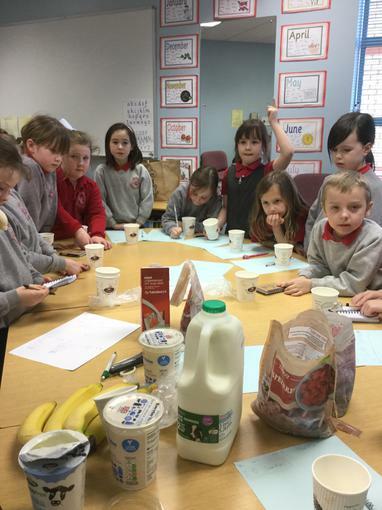 We had a choice of strawberries, raspberries, blueberries or bananas which were added to milk, yogurt and vanilla extract. 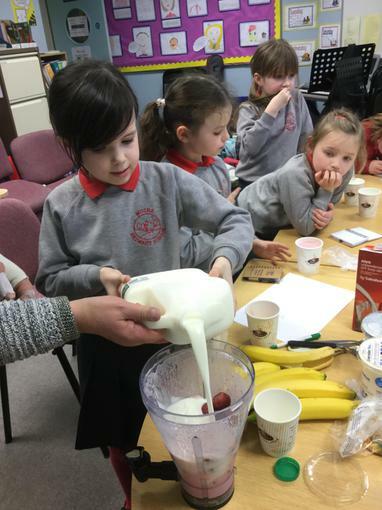 They went down extremely well ! 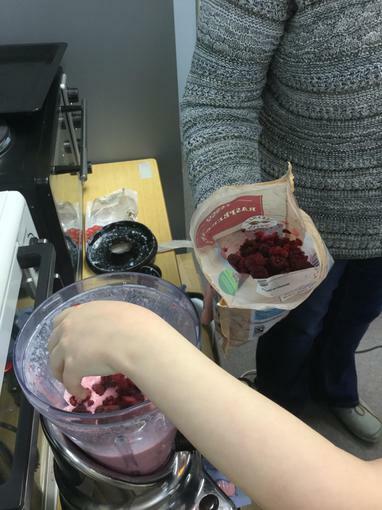 I have promised a sweet treat next week - cookies.